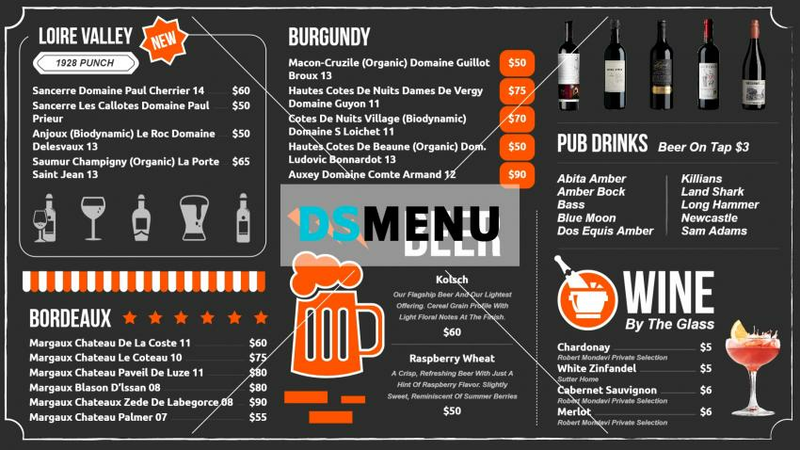 This wine menu board has an exquisite color combination in dark chocolate grey with white typefaces and the orange color used selectively. On a digital screen the menu items will be showcased suitably with maximum impact. The bar has a vintage selection of branded wines as in Loire Valley, Burgundy, bordeaue together with pub drinks. A must have menu board, if your actual selection has similarities!